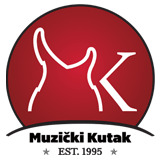 Global bass, guitar, drums, guitar accessories trader - Muzicki Kutak D. O. O. Home Buyer Traderoom Muzicki Kutak D. O. O.
Muzicki Kutak D. O. O. Sell music instruments guitar, bass, drums etc...Accessoris, gift and ather music stuff. Company start with business 1995. Y.